Years ago on a trip to Scotland I picked up a copy of Maw Broon’s But an’ Ben Cookbook. Inspired by a weekly comic strip produced since the 1930s, the But an’ Ben Cookbook is a kind of imaginary scrapbook collated by the extended Broon family at their holiday house with recipes cut from newspapers and magazines, donated by friend and family members, or scribbled on the back of whatever paper was nearby. Interspersed with comics and helpful hints, the book is a fascinating window into mid-century Scottish cookery. I think that this book is probably the first place I encountered both Hogmanay and black bun. Hogmanay is the Scottish celebration of the New Year, and black bun one of the traditional foods exchanged and eaten at this time of the year. [i] It’s particularly popular as a gift for first-footing, brought by the first visitor (preferably male, tall and dark-haired) to cross the threshold it is believed to bring good luck to the household. Basically identical to other early modern recipes for plumb cake, what distinguishes black bun is that the fruit cake is covered in a layer of dough or pastry. While modern recipes for black bun now call for a rich fruit cake to be wrapped in pastry, as you can see from this recipe (which was taken almost word for word from the recipe for ‘A rich half-peck Bun’ in Mrs Frazer’s The Practice of Cookery, Pastry etc. [iii]) older recipes use a yeasted dough for both the filling and the plain cover. Mrs Frazer’s recipe from 1791 is generally given as the oldest for black bun, but the National Library of Scotland has a recipe for a plumb cake in an 18th century receipt book from the Fletcher family of Saltoun which also leaves aside part of yeasted dough to make a cover. [iv] Helpfully, the recipe notes that it was taken from Mrs Johnston’s Receipts for Cookery and Pastry Worke 1741. [v] Indeed, the very first recipe in Mrs Johnston’s receipts for all sorts of pastry, creams, puddings, custards, preserves, marmalets, conserves, geillies, syrops, wines etc published in 1740 is the same recipe for plumb cake. [vi] Mrs Johnston, in turn, took the first 92 pages of her cookbook from Mrs McLintock’s receipts for cookery and pastry-work published in Glasgow in 1736, the first cookbook known to have been published in Scotland. [vii] This means we can push the date back nearly 60 years, and it seems plausible that even earlier versions exist in manuscript sources. The first challenge in redacting this recipe was working out what the measurements would mean in today’s values. Many recipes for plum-cakes from this time period are enormous, meant to feed a household that included a large extended family, their servants and retainers, and any visitors who happened to be in the area. I used a helpful table from the Scottish Archive Network to convert the measurements into metric, although it’s worth noting that in many cases there were multiple options (e.g. is it the Troy or the Tron pound?) so the measurements I came up with are by no means definitive. Turns out though, that my measurements were off by quite a bit. Although I initially only used one egg since modern eggs are probably larger than those in the past, I used two and then added quite a bit of warm water to make a stiff dough. Then I had to figure out how much to reduce the recipe by. The original recipe asks for nine litres of flour and just shy of ten kilograms of dried fruit; much as I love fruitcake there was no way I was making the whole cake! I ended up dividing all the ingredients by seven, which still produces a large cake, so you may want to reduce it even more. The National Library of Scotland website had noted that cordecidron was quince paste, but that didn’t seem very likely to me and a bit of research shows that it is an old Scottish word for citron peel which makes much more sense. [viii] For the both the orange peel and the citron peel I assumed that they meant candied peel, which is what is normally used in plum-cake recipes. Even after reducing the recipe massively, I didn’t have more than 700g of candied peel so I just put in what I had. Obviously that is less accurate, but given how much difficulty I had getting the fruit worked into the dough it was something that I was glad of later. It’s amazing to think that people did this for 7 times the amount of dough! Finally, what shape should the dough take? Does it need time to rise? Does it need a tin or hoop to support it? And how long does it take to cook? I’m still not really sure about the answer to any of these. Modern buns tend to be circular or loaf-shaped and are cooked in tins. The rectangular loaf-shape is probably modern, since loaf-tins seem to be a 19th century invention. Mrs Frazer’s recipe suggests binding it in paper, which would presumably give a softer form than a metal tin, while a note in the Dods recipe says “They should be baked in a dome-shaped fluted mould or Turk’s cap, but look still more imposing at holiday-times, formed like large, respectable, old-fashioned household loaves.”[ix] The two moulds would probably give an effect like a bundt cake, while old-fashioned household loaves may refer to something like a cob loaf. What I can tell you is that my tin method didn’t work very well, because the bun didn’t have enough room to expand and split. Given how stiff the dough is, I would be tempted next time to just shape it into a cob loaf and bake it on a tray. Mix together yeast and warm water in a small bowl and set aside. Put flour in large bowl and rub in butter until it looks like breadcrumbs. Beat the sugar and eggs then add to the flour with the yeast and the brandy. Add enough warm water to bring together to form a stiff dough. Take a quarter and put to one side, covered with a damp towel. In a large bowl mix together the fruit, almonds and spices, then mix into the 3/4 of the dough. This is quite difficult because of how stiff the dough is and how much dough there is. When you can no longer knead the entire dough, it helps to take small handfuls of dough and press them into the fruit to incorporate more of the mixture. Roll out the 1/4 of the dough into a very large, thin circle (approx. 12 inches round), thinner at the edges. Put the fruit dough in the middle and shape into a rough circle (if you are using a tin, make sure that the circle will fit the tin). Wrap the dough up around the filling, pinching at the top like a dumpling. Grease the tin or baking tray, and place the bun in, seam side down. Preheat the oven to 180°C/355°F, then bake for about 90 minutes or until knocking on the bun produces a hollow sound. How successful was it? : It was very dry, a bit similar to bad pannetone but with more fruit. It wasn’t too sweet, which was great, and the occasional pop of a carraway seed was a nice addition to the usual fruitcake flavours. How accurate? : There are so many things that were unclear here, and the texture just didn’t seem quite right so probably not very. [i] Alan Davidson, The Oxford Companion to Food (OUP Oxford, 2014), 85. “Black, Adj. and N.,” OED Online (Oxford University Press), accessed January 6, 2019, http://www.oed.com/view/Entry/19670; Galignani’s Messenger: The Spirit of the English Journals. 1825,2 (Brière, 1825), 562; Christian Isobel Johnstone, The Cook and Housewife’s Manual, by Margaret Dods. [&c.]., 1862, 512, http://archive.org/details/cookandhousewif01johngoog. [iii] Mrs Frazer, The Practice of Cookery, Pastry, Pickling, Preserving, &c: Containing Figures of Dinners, from Five to Nineteen Dishes, and a Full List of Supper Dishes; Also a List of Things in Season for Every Month in the Year, and Directions for Choosing Provisions: With Two Plates, Showing the Method of Placing Dishes Upon a Table, and the Manner of Trussing Poultry, &c (Peter Hill, Edinburgh, and T. Cadell, London, 1791). [iv] “Culinary and Household Receipes of the Fletcher of Saltoun Family” (Receipt Book, 18th Century), MS 17853, National Library of Scotland, https://digital.nls.uk/recipes/browse/archive/105410479#?c=0&m=0&s=0&cv=0. [vi] Mrs Johnston, Mrs. Johnston’s Receipts for All Sorts of Pastry, Creams, Puddings, Custards, Preserves, Marmalets, Conserves, Geillies, Syrops, Wines, Wet and Dry Confections, Biskets, Sauces, Pickles, and Cookery, after the Newest and Most Approved Method (Edinburgh: [s.n. ], 1740), 3, http://find.galegroup.com/ecco/infomark.do?&source=gale&docLevel=FASCIMILE&prodId=ECCO&userGroupName=stan90222&tabID=T001&docId=CB3326959443&type=multipage&contentSet=ECCOArticles&version=1.0. [vii] Johnston, Mrs. Johnston’s Receipts for All Sorts of Pastry, Creams, Puddings, Custards, Preserves, Marmalets, Conserves, Geillies, Syrops, Wines, Wet and Dry Confections, Biskets, Sauces, Pickles, and Cookery, after the Newest and Most Approved Method note in Eighteenth Century Collections Online database. [viii] “Cordecedron N.,” Dictionary of the Scots Language (Scottish Language Dictionaries Ltd., 2004), http://www.dsl.ac.uk/entry/dost/cordecedron#. [ix] Christian Isobel Johnstone, The Cook and Housewife’s Manual, by Margaret Dods. [&c.]., 513. I spent August at home in Brisbane and our passionfruit vine was loaded down with fruit. There were so many little bulbs of deliciousness that I racked my brain trying to figure out what to do with them all. That means, of course, searching Trove for historical recipes to test. I’m not sure it’s generally very well known that Australia has a proud baking tradition (although people overseas do comment on the Australian sweet tooth) but many of Australia’s most iconic treats are baked: lamingtons, ANZAC biscuits, gems cones, pumpkin scones, damper, even pavlova. While many of the baked goods were variations on European traditions, such as gingerbread, sponge cakes or scones, Barbara Santich argues that what makes Australian baking unique was the proliferation of variations. She suggests that sweet recipes took up a much larger proportion of 19th and early 20th century Australian cookbooks compared to contemporary English cookbooks, perhaps two or three times as many. The warm growing conditions facilitated this experimentation; sugar was cheaply available, especially as the Australian sugar business took off, and fruit was abundant. Two tropical flavours, in particular, came to the forefront: coconut and passionfruit. While passionfruit is now most commonly used as a topping for pavlova, it was also used as a filling or icing for cakes, and made into jams, jellies and butters, puddings, slices, pies, biscuits, creams and flummeries. The first recipe I decided to make was a 1939 recipe for Passionfruit Custard Slices. The slice, a rectangular slab of baked goodness that’s cut into slices, is a highlight of Australian baking. No country bakery is complete without vanilla slice – a thick layer of vanilla custard sandwiched between crisp, golden pastry. Passionfruit slice is a variation on this, with a passionfruit icing on top of the upper layer of pastry. What makes this recipe different is that it doesn’t use a real custard for the filling. Instead, you make a white sauce which is then enriched with sugar and egg yolks. I was pretty wary of this, since it didn’t sound like it would be thick enough, or particularly tasty. However, because it’s not very sweet it does a really good job of balancing out the extremely sugary icing. INGREDIENTS: 1/2lb. Puff, rough puff or flaky pastry. FOR CUSTARD: 1 tablespoon butter, 1 heaped tablespoon flour, 2 egg yolks, 1 cup milk, 1 or 2 passionfruit. FOR ICING: 1/2lb. Icing sugar, 2 passionfruit. Method: Roll prepared pastry square or oblong in shape, place on baking tray, brush surface with egg white, then cook in hot oven for 15 to 20 minutes, decreasing heat when well risen and lightly brown. Lift on wire cooler, and, when cold, split in two layers. Melt butter in saucepan, add flour and blend smoothly, cook for a minute, then add milk, and stir until mixture boils and thickens. Stir in sugar, egg yolks, and cook without reboiling the custard. Stir until cool, add passionfruit pulp or strained juice, then spread one layer of pastry with custard and cover with other layer. Mix sifted icing sugar with passionfruit pulp or strained juice, forming a smooth icing. Pour over pastry surface and when firmly set, cut into slices. Another staple of passionfruit desserts is the moulded jelly or pudding. A flummery is basically a jelly made with a substance such as cream or milk to make it opaque. They have a long history, dating back to at least the 17th century when it was made with oats or wheat, but have mostly disappeared now. Flummery still survives in some Australian households as ‘jelly whip’, a cheap, mousse-like dessert in which evaporated milk is whipped into nearly set jelly. This version from 1933 is even cheaper, and is dairy free, because it uses flour rather than a dairy product to make the jelly opaque. Soak 1 tablespoon gelatine in 1 cup cold water for 2 hours, then add 1 1/2 cups sugar. Mix 1 tablespoon plain flour with 1 cup cold water, the juice of 2 oranges and 1 lemon. Put all on fire together and bring to the boil, remove, and when nearly cold add the pulp of 6 passionfruit, and beat till thick and white. My flummery separated, I think maybe because the jelly wasn’t cold enough when I whipped it. It was still OK, with a layer of plain jelly on the bottom and then a layer of flummery with the texture more like marshmallow fluff or something like that. The main problem was just that the jelly was wayyyyy too sweet. Barbara Santich, Bold Palates (Kent Town: Wakefield Press, 2012), 193. “PASSIONFRUIT,” The Sun, January 8, 1939. “Delicious Passionfruit Recipes,” The Northern Star, August 3, 1933. Heat the oven to 190°C. Roll the pastry into a square or oblong, place on baking tray and brush the surface with the beaten egg white. Bake for 15 to 20 minutes, decreasing heat when well risen and lightly brown. Place on a wire rack to cool and, when cold, cut in half to make two layers. Melt the butter in a saucepan, add the flour and whisk to blend. Cook for a minute, then add the milk bit by bit, and stir until the mixture boils and thickens. Stir in the sugar and egg yolks, and cook without boiling the custard. Stir until it is cool then add the pulp of two passionfruit. Spread the custard on one layer of pastry, and add place the second layer of pastry on top. To make the icing, mix the sifted icing sugar with the pulp from the remaining two passionfruit to make a smooth icing. Pour over the pastry surface. Refrigerate until it sets then cut into slices. Dissolve the gelatine in 1 cup of the water, then add the sugar. Mix the flour with the remaining cup of cold water and the orange and lemon juice. Mix the gelatine and the juice mixture together in a saucepan, and bring to the boil. Remove the mixture and allow to cool. When nearly cold add the passionfruit pulp and beat it until it is thick and white. “Delicious Passionfruit Recipes.” The Northern Star. August 3, 1933. “PASSIONFRUIT.” The Sun. January 8, 1939. Santich, Barbara. Bold Palates. Kent Town: Wakefield Press, 2012. Alexis Soyer, frontispiece engraving from A Shilling Cookery for the People, 1855, public domain. A few years ago, I read Relish: The Extraordinary Life of Alexis Soyer, Victorian Celebrity Chef by Ruth Cowen, and now Alexis Soyer seems to pop up everywhere I turn. He was an amazing man, one of the first celebrity chefs (complete with his own line of cookbooks and product endorsements) but also an inventor and entrepreneur. Although in his restaurant he mostly cooked for the wealthy and famous he was also involved in philanthropic projects including setting up soup kitchens in Ireland during the Great Famine and working with Florence Nightingale to reform army cooking during the Crimean War. Alexis Soyer’s Barrack Hospital kitchens in Scutari, Turkey during the Crimean War. Wood engraving. Licensed by the Wellcome Collection under CC BY. Soyer also produced several cookbooks with recipes for cheap, simple and nutritious recipes that poor people could make at home, or that charities or institutions could make in bulk. These included Soyer’s Charitable Cookery; Or, the Poor Man’s Regenerator Dedicated to the Benevolent, for the Benefit of the Labouring, and Poor Classes of the United Kingdom (c.1847) and A Shilling Cookery for the People: Embracing an Entirely New System of Plain Cookery and Domestic Economy (1855). While the tone of his writing is self-aggrandising and patronising, Soyer evidently put a great deal of effort into the recipes and considered the equipment that people had, the ingredients they could afford, and their experience with cooking. The first chapter in the A Shilling Cookery for the People contains 37 recipes for soups, stocks and gravies ranging from the extremely simple rice soup (rice boiled in broth) to the aspirational ‘Good White Mock Turtle Soup’. Needing only a heat source and a pot, these soups were adaptable to both older styles of fireplace cookery and the modern stoves. The recipe that I decided to make ‘Ox Tail Soup in Baking Pan’ would have required an oven, but there is another very similar version available for making it on the stove. Ox Tail Soup in Baking Pan – Divide two ox tails, wash them well in cold water, then put them in the pan, with three teaspoonfuls of salt, one of pepper, four cloves, a little thyme, if handy, two good onions; add three quarts of water, two tablespoons of colouring; put on the cover, place it in a moderate oven for three hours to simmer, take off the fat, which save for use, and serve. Half a pound of any vegetable, mixed or not, cut in dice, can be added with advantage. A Common Batter – Put in a basin six good tablespoonfuls of flour, which dilute very slowly with one pint of milk, add one spoonful of salt, quarter that of pepper, beat an egg well in it, if used for toad-in-the-hole. A little parsley, chopped onions, or a little spice, makes an agreeable change; it will also make nice puddings, if baked alone, or under a joint in a well-greased tin. This recipe is pretty straightforward. The oxtails I bought were already cut up but if you’re buying a whole oxtail then ask your butcher to section it for you or you can do it yourself by cutting in between the caudal vertebrae (The Seasoned Cook has a video of how to do this). The benefit of using oxtail is that it’s very cheap, and it tastes delicious if you give it a long, slow cooking. Once your oxtails are ready, just stick everything in a lidded casserole dish, or a baking dish covered with foil and let it simmer for three hours. For the vegetables, I used leek, turnips and carrots but you could also use potatoes, pumpkin, peas, swedes, parsnips or celery. Soyer, A Shilling Cookery for the People, 16. Preheat the oven to 180°C. Whisk together the flour, milk, and parsley (if using) until it forms as smooth paste and season with the additional salt and pepper. Place all of the other ingredients in a casserole dish or a baking tray. Stir in the flour and milk paste. Cover with a lid, or with aluminium foil. Put the dish in the oven and leave to simmer for 3 hours. Skim off any excess fat. Serve hot with crusty bread or buttered toast. Cowen, Ruth. Relish: The Extraordinary Life of Alexis Soyer, Victorian Celebrity Chef. London: Phoenix, 2008. Soyer, Alexis. The Gastronomic Regenerator: A Simplified and Entirely New System of Cookery; with Nearly Two Thousand Practical Receipts, Suited to the Income of All Classes. London: Simpkin, Marshall, & Company, 1846. Soyer, Alexis. Soyer’s Charitable Cookery; or, The Poor Man’s Regenerator. 1847. Reprint, London: Simpkin Marshall & Company, 1884.
and Domestic Economy. London: G. Routledge & Company, 1855. This is the second part of a two-part series on using archaeology to study alcohol production. To read the first part, click here. In Central and South America today, the word chicha is used for a range of fermented and unfermented beverages; most commonly it refers to maize beer, but chicha can also be made from other grains, tubers and fruits. Archaeological evidence of chicha has been found at many sites in Peru, and has also been suggested for sites in Argentina, Mexico and Bolivia. Wari wooden beaker (kero), 7th to 10th century, from Peru or Bolivia. These cups were used for drinking chicha. Accession No. 1978.412.214. Licenced by the Metropolitan Museum under CC0 1.0 Universal. There are two main ways in which chicha is produced today: either the corn is either germinated and ground, or it is soaked and then chewed. In either approach, the idea is to use enzymes to start breaking down the starches into sugars for fermentation. If you germinate the corn, the enzymes are produced naturally and if you chew the grain, the enzymes are introduced from your saliva. Purple corn for making chicha. I started the experiment with some really beautiful purple corn which I soaked for 24 hours and then spread out on damp paper towel to start germination. Unfortunately, after seven days there were no signs of germination. I decided to try the mastication method with this corn instead, and so I mixed it with a little water and chewed it. Once the grain was chewed, I spat it out and formed little clumps of muko which I left to dry. Once again, however, my chicha making was foiled because the muko went mouldy. Muko, clumps of chewed up corn for making chicha. With two failures under my belt, I turned once again to the germination method. This time, the corn that I used had already been malted (soaked and germinated) and roughly crushed. I ground the corn more finely with a rolling pin to produced a mixture of small and medium-sized pieces and a powder. Grinding the corn for the second attempt at making chicha. Once all the corn was ground, the corn was placed in a saucepan and covered with hot water. I put a lid on the saucepan and left it to soak for an hour. After the hour had passed, the corn smelled wonderful, very sweet and malty. I added more water to fill the saucepan and brought the mixture to the boil before lowering the temperature and letting it simmer for an hour. Bubbles show that the chicha is fermenting nicely! There is no yeast added to the mix, but wild yeasts from the skin of the corn and from the air are used to ferment the mixture. Yeast can also be added by adding some older chicha, or by using equipment which has been inoculated with yeast. Once the chicha was cool I transferred the liquid and half of the corn to a plastic container. The lid was left on loosely, and the chicha left to ferment. After three days, the chicha was bubbling and smelled sweet and tasted like watery corn. The final product, which tasted like watery corn. Throughout the process, I took samples of the corn which can now be compared against archaeological samples. Hopefully having comparative samples like this will allow archaeologists to identify chicha production and consumption from residues found in different vessels. This is the first of two posts on using experimental archaeology to study alcohol production in the past. In this post, I’m going to talk about why archaeologists study ancient brewing and one of the ways that archaeologists identify alcohol on sites in the past. The next post will look at an experimental reproduction of chicha, a type of corn beer, which is used to create comparative material for starch analysis. Egyptian model of a brewery. The men on the left are mashing starter while the seated man is bottling the beer. Middle Kingdom, RC 483, Rosicrucian Egyptian Museum. Photo by the author. In the past few decades, archaeologists have started to pay a lot more attention to alcoholic beverages such as wine and beer. In part, this is because we now have much better techniques for recovering and analysing even very small samples of residues from the inside of brewing containers. At the same time, archaeologists have also started to realise that alcohol plays important social roles and studying the production and consumption of alcoholic beverages can help us answer much bigger questions about state formation, social stratification, gender roles and the domestication of plants. Traditionally, alcoholic drinks have been studied as part of historical diets mostly as an important source of calories, nutrients and water. Even though that is definitely the case, consumption is always about more than just survival; as Dietler says, “People do not ingest calories, or protein: rather, they eat food, a form of material culture subject to almost unlimited possibilities for variation …”. Which foods we consider edible, what we think of as a complete meal, how we know when and where is appropriate to eat, and the order of foods in the meal all depend on your culture and social position. Foods are particularly loaded with symbolism because they literally become part of us when we eat them. As such, they help us construct individual and group identities. As an example, just think about how different coffee orders signal different identities. Asking for a coffee in a diner is different from ordering a vanilla soy latte in a keep cup at Starbucks which is different from ordering a single-origin cold brew in a hipster cafe, and each order helps to signal membership in a different group identity. Brian Hayden has argued that through providing feasts, some people were able to control access to alcohol and so to leverage the group identity that was created by sharing it for political purposes. He suggests that having extra grain at the end of the season allowed some individuals to make alcohol which could then be used to through feasts. When you throw a feast, the people who are invited are then obliged to give something back, either by inviting you to their own feast, or by providing labour or goods in return. This creates distinct classes of people, those who can afford to throw feasts and those who cannot. Different would-be leaders would compete to throw the best feasts, and to control the largest amount of labour (for large building projects like city walls, palaces etc.) or tribute in goods. An example of a standard Late Uruk bowl (VA 15455) from Mesopotamia. It has been suggested that these bowls, which are ubiquitous in this period, were used to distribute rations of grain or perhaps bread. Licenced by the Staatliche Museen zu Berlin under CC BY-NC-SA 3.0 DE. In other cases, the state produced and distributed alcohol as part of workers’ rations. Because food and drink are so essential to everyday life, controlling access to food and drink is a very effective form of social control. Intensified state control of beer production has been identified in a number of ancient states including Mesopotamia, Egypt and Peru, and would have been a useful tool in centralising state power. Since alcohol clearly played an important role in ancient societies, it is important that archaeologists study it. However, recognising alcohol brewing and consumption on archaeological sites can be very difficult. For the most part, archaeologists rely on finding multiple lines of evidence, including equipment or installations for brewing, residue analysis, and plant remains. Finding just one of these elements, such as plant remains, might be evidence of lots of different practices but if we can find multiple types of evidence then that makes it more likely that people really were brewing or drinking alcohol there. One of the ways that we can potentially identify brewing is through starch analysis. Starch grains are often left on tools and equipment that are used for preparing and serving plant-based foods and beverages, including alcohol. Starch analysis can be used to identify the type of grains, rhizomes or tubers that are present and sometimes even how they were prepared. Cooking, for example, causes the grains to burst and swell in distinctive ways although unfortunately, cooking also makes it harder to identify the type of grain! Incan urpus or storage jar, 15th to 16th century. These jars were used for making, storing, and transporting chicha, among other things. Accession No. 1978.412.68. Licenced by the Metropolitan Museum under CC0 1.0 Universal. In order to identify the starch grains and the preparation techniques used, it is important for archaeologists to have comparative samples which show what different grains look like, and how different preparation techniques (such as soaking, grinding, chewing, baking, boiling etc.) affect them. In the second post of this series, I’m going to walk you through how I made an experimental batch of chicha to make comparative samples. Dietler, “Food, Identity, and Colonialism,” 222. Pollock, “Feasts, Funerals, and Fast Food in Early Mesopotamian States,” 18. Dietler, Michael. “Food, Identity, and Colonialism.” In The Archaeology of Food and Identity, edited by Katheryn C Twiss, Occasional Paper No. 34., 218–42. Carbondale: Center for Archaeological Investigations, Southern Illinois University, 2007. Hastorf, Christine A. “Gender, Space, and Food in Prehistory.” In Engendering Archaeology, edited by Joan M Gero and Margaret W Conkey, 132–59. Cambridge: Blackwell Publishing Ltd, 1991. Hayden, Brian. “Feasting in Prehistoric and Traditional Societies.” In Food and the Status Quest: An Interdisciplinary Perspective, edited by Polly Wiessner and Wulf Schiefenhovel, 127–47. Providence: Oxford University Press, 1996. Jennings, Justin. “A Glass for the Gods and Gift to My Neighbor: The Importance of Alcohol in the Pre-Columbian Andes.” In Alcohol in Latin America: A Social and Cultural History, edited by Gretchen Kristine Pierce and Áurea Toxqui, 25–45. Tucson: The University of Arizona Press, 2014. Joffe, Alexander H. “Alcohol and Social Complexity in Ancient Western Asia.” Current Anthropology 39, no. 3 (June 1, 1998): 297–322. https://doi.org/10.1086/204736. Pollock, Susan. “Feasts, Funerals, and Fast Food in Early Mesopotamian States.” In The Archaeology and Politics of Food and Feasting in Early States and Empires, 17–38. Springer, Boston, MA, 2003. https://doi.org/10.1007/978-0-306-48246-5_2. In a total coincidence, it is both jam month in the Food in Jars Mastery Challenge, and the Recipes Project Virtual Conversation month. If you haven’t been following along with the conversation, check it out because there are loads of really interesting things going on covering all types of recipes in all periods. One of the projects that I’ve been really interested in is the series of videos by Simon Walker called “Feeding Under Fire”. In each video, Simon recreates a dish that soldiers would have eaten during World War 1, and contextualises it with information about nutrition, supply lines and what was happening on the home front. The second video in the series (see it here) was all about the important role that jam played in soldiers’ diets. The recipe that he used was for plum and apple jam, which seems to have been the most common type of jam sent to the front lines. Even though Simon wasn’t very happy with how his jam turned out, it inspired me to make a WW1 era jam too. A recipe for the ubiquitous plum and apple jam, from the Southland Red Cross Cookery Book, 1916. In Australia during the First World War, there wasn’t rationing like there was in Britain. Food prices rose rapidly, and the State and Federal governments had only mixed success in setting prices for staple food. With complete control over the sugar industry, it was easier to restrain the market. When sugar prices rose overseas, the Australian government banned exports, in order to maintain sufficient supply at home. Because sugar was available in greater quantities, and generally for a lower price than in Europe, it was easier for Australian home cooks to keep making jam. Large quantities of jam were made to be sent to Australian soldiers overseas, often in packs of treats sent by the Red Cross or the Australian Comforts Fund. “Special Effort – 2 tons of jam made by the Cobar Ladies Jam Club”. World War I – Cobar, NSW. Courtesy of the State Library of NSW. Commercially made jam was available too, and it featured prominently in the meals provided to Australian soldiers. A large surplus of tinned jam was also sold to the British and American armies. In total, the export of jam during the war was 40 times as large as in the pre-war years. As in England, much of this jam seems to have been plum and apple, but sometimes more unusual varieties appeared too. According to Barbara Santich, the Imperial forces bought nearly 2,000 tons of Queensland pineapple jam! Strawberry jam doesn’t seem to have been very common, presumably because strawberries are expensive to buy and comparatively low yielding. Some newspapers published recipes for mock strawberry jam, made with rhubarb and raisins (I also like this recipe from the Second World War which uses tomatoes and strawberry flavouring). Still, strawberry jam was clearly available. In 1940, Colonel J. Travers suggested that it should be given to all soldiers, because he recalled that “During the last war, we were usually issued with strawberry jam only before a fight … but there seems no reason why these men should not have strawberry jam at other times.” It’s not hard to imagine the excitement that a jar of strawberry jam would have caused, nestled in a comfort box with warm socks and a bit of cake. It was a taste of home, and a welcome distraction from the monotony of bully beef and hard tack. This recipe was published in The Farmer and Settler, a NSW newspaper in January 1915. Personally I prefer this method of making, as it does not mash the fruit: – Strawberries that are to be used for the purpose of this jam must be gathered after two or three days of dry weather. The berries should not be over-ripe. The usual method is to lay the fruit and the sugar in alternate layers in the preserving pan, and to boil the jam very gently over a medium heat until it jellies when tested in the usual way. Three-quarters of a pound of sugar per pound of strawberries is generally sufficient, but if the berries do not appear to be particularly sweet, five pounds of sugar to each six pounds of strawberries will be a better proportion. If you want a jam with large pieces of fruit in it, this method of layering the fruit and sugar works really well. However, the proportion of sugar to fruit is quite high, so the final result is very sweet. It is also a very soft set jam, almost a syrup, because strawberries are low in pectin and there is no pectin added to the recipe. Scott, Australia during the War, XI:646–48. Santich, Bold Palates: Australia’s Gastronomic Heritage, 254. Hull your strawberries, and weigh them. Measure out 3/4 of that weight in sugar (so if you have 400g strawberries you need 300g sugar). Take a preserving pan large enough to fit all your strawberries and sugar. Place half the strawberries in the bottom of the pan and spread them out to make an even layer. Put half the sugar on top, followed by the remaining strawberries and the rest of the sugar. For large quantities you may want to increase the number of layers. Slowly heat the mixture, without stirring, until all the sugar is dissolved. Then cook the jam over medium heat until it set using the wrinkle test (it will be about 105C). Pour the hot jam into sterilised jars and seal. Time to complete? : 45 mins. How successful was it? : It’s very sweet, with a strong strawberry flavour. I really like the large pieces of strawberry, but I found the set too syrupy for my taste. How accurate? : The main difference would probably be in the bottling process, although I suppose that there could also be differences in the type of strawberries and sugar. Overall, though, it’s a pretty good approximation. 1914-1918. Sydney, Australia: Angus and Robertson Ltd., 1936. “Strawberry Jam for the Soldiers.” Sydney Morning Herald. January 12, 1940. “Strawberry Jam No. 2 Recipe.” Farmer and Settler. January 5, 1915. “War With Jam On It: As It Seems to Veterans.” Worker. January 23, 1940. I don’t quite know why, but I had kind of assumed that candied orange peel would date to the late 17th century, like jellied marmalades. I was quite surprised, then, to find that candied fruits, and candied peel, are actually quite a bit older. Preserving in a sugary syrup – whether it’s made from honey, wine, grape must, or sugar – is a very effective way of preserving seasonal products. There is a long history of preserved or candied fruits in China and Korea, dating back to the 10th century, and the Romans preserved quinces and other fruits in honey, or in desfrutum (boiled down new wine) or must. To make orengat, cut the peel of an orange into five segments, and with a knife, scrape off the white pith that is inside. Then soak them in nice, fresh water for nine days, and change the water every day; then boil them in fresh water until it comes to the boil, then spread them on a cloth and let them dry thoroughly; then put them ina pot with enough honey to cover the completely, and boil over a low fire, and skim it; and when you think that the honey is done (to see if it is done, put some water into a bowl and drop into that water a drop of the honey, and if it spreads it is not cooked; and if that drop of honey holds its shape in the water without spreading, it is done); then, remove your orange peel, and make a layer of it and sprinkle ginger powder on top, then another layer, and sprinkle etc., ad infinitum; leave for a month or longer before eating. In the fifteenth century, Platina suggests that sugar could be used for candying almonds, pine-nuts, hazelnuts, coriander, anise and cinnamon, while honey was better for apples, gourds, citrons and nuts. The Catalan book on confectionary Libre de totes maneres de confits gives both options in most cases, whereas the Italian Libro per Cuoco only uses honey for candying orange peel. Over time, as sugar become cheaper and more widely available, the use of honey became less common. In England, by the sixteenth century, the primary distinction is between wet suckets (stored in syrup) and dry suckets (removed from the syrup and dried). Nearly every published cookbook and private receipt book that survives contains recipes for these kinds of sweetmeats, which would be served in the banquet course at the end of the meal. Sugar was considered health promoting, especially when combined with spices and it was eaten at the end of the meal to promote digestion (for more on this see my post on gingerbread). The range of products which were candied is staggering. Fresh fruits, seeds, spices, green walnuts, marshmallow, angelica, lettuce stalks (sometimes called gorge d’ange or angel’s throat), and eringo (or sea-holly) roots were all fair game. Nor has the tradition completely died out. Many types of dry suckets still survive: in England, particularly around Christmas, baked goods often include candied citrus peel, candied ginger, glace cherries and candied angelica. In France, candied melon is an essential ingredient in calissons while marrons glaces (candied chestnuts) are a specialty of Northern Italy and the Piedmont region. Elvas, Portugal, is famous for its candied greengages. Wet suckets have been less enduring, but you can still buy ginger preserved in syrup. All of this leads us to today’s recipe, which comes from Martha Washington’s Booke of Sweetmeats (the second half of the Booke of Cookery). This receipt book is typical in that it provides a range of recipes for preserving and candying. The candying section alone has recipes for rose leaves, marigolds, violets, rosemary flowers, borage flowers, eringo roots, elecampane, ginger, orange peel, gooseberries, angelico stalks and roots, and apricots. Take Civill orringes & pare them very thin. Then cut them in little pieces, & lay them in faire water a day & a night, & shift them evening and morning. Then boyle them, & shift them when the water is bitter into another water, & continew this till the water & boyling hath made them soft & yt theyr bitterness be gon. Then dreyne ye water from them, & make a thin sirrup, in which boyle them a pritty while. Then take them out & make another sirrup a little stronger, & boyle them a while in yt. Then dreyne ye sirrup from them, & boyle another sirrup to candy heigh, in wch put them. Then take them out & lay them on plats one by one. When they are dry, turne them & then they are done. This is a fairly straightforward recipe for candied orange peels, and indeed modern recipes aren’t dissimilar. The recipe explicitly calls for Seville oranges, which are very bitter (they are still preferred for marmalade) and this explains the soaking and boiling process. What is more unusual, is the way that the peels are removed from each syrup. What is unclear is whether a completely new syrup is made each time, or whether the existing syrup is simply made stronger, either by reducing it, or perhaps by adding more sugar. In the end, I opted to simply use the same syrup, but to boil it down between each stage. For the stages, there are a series of instructions at the beginning of the book which describe each stage. A thin syrup is “will look thin & pale cullered.” A full syrup is a bit stronger, “it will change its culler and looke high cullered like strong beere.” It is not as strong as manus christi height, at which point it will form a thread between the fingers. Hess notes that this is 215F (105C), but this stage would normally be considered a bit hotter at 230-234F or 110-112C. Candy height, which is the final stage required for this recipe is what is now called the large pearl stage. Again, Hess’ temperature of 232F seems a bit low, it’s normally given as 235-239F or 113-115C. Having said that, I have tried it with the temperatures that Hess gives, and they do work. You will just have a more syrupy peel at the end. Vehling, De Re Coquinaria of Apicius, 52; Palladius, The Fourteen Books of Palladius Rutilius Taurus Æmilianus, on Agriculture, 148; Richardson, Sweets, 92; The Korea Foundation, Traditional Food. Tolkowsky, Hesperides A History of Culture and Use of Citrus Fruits, 150, 166, 269. Redon, Sabban, and Serventi, The Medieval Kitchen: Recipe from France and Italy, 218. Scully, The Art of Cookery in the Middle Ages, 57. Young, “Stages of Sugar Syrup,” 102. Scully, The Art of Cookery in the Middle Ages, 130–31. Hess, Martha Washington’s Booke of Cookery and Booke of Sweetmeats, 278–87. Ibid., 227; Young, “Stages of Sugar Syrup,” 651. Hess, Martha Washington’s Booke of Cookery and Booke of Sweetmeats, 227; Young, “Stages of Sugar Syrup,” 651. What can I do with my Orange Peel and Syrup? The easiest thing is to eat it straight, because it is delicious. The recipe doesn’t call for it, but some people might like to roll the peel in sugar, or for a modern option you can dip them in good-quality dark chocolate. And the syrup? It’s got a lovely, gentle orange flavour which would be perfect for pouring over baklava or awamat (Lebanese doughnuts). You could also use it as a simple syrup in cocktails, or use it for an orange syrup cake. Slice the top and bottom off the oranges with a very sharp knife. Steady the orange on the now flat bottom, and carefully cut the peel of the knife in vertical sections. Carefully remove as much pith as you want (more pith = more bitter) using either a teaspoon or a knife. Slice the peel into thin slices. Place the peel in a large bowl and cover with fresh water. Cover the bowl and leave for 24 hours, changing the water after 12 hours. The next day, drain the peels, place them in a medium saucepan and cover with cold water. Bring the water to the boil, then drain the peels, cover them in fresh water and bring to the boil again. Repeat this once more, for a total of three times, then drain the peels. In the saucepan, combine the water and the sugar. Heat over medium heat until the sugar is dissolved, then bring to a simmer. Add the peel, but try not to stir as this will lead to crystallisation. Simmer for 15 minutes, then remove the peel. Heat the syrup to 105C, then add the peel. Simmer for 15 minutes, then remove the peel. Heat the syrup to 113C,then add the peel. Simmer for 15 minutes, or until soft and translucent. Remove the peel from the hot syrup and lay them on racks to dry. Once dry, remove them and store them in an airtight container. Note: you can collect orange peels over time, and keep them in a zip-lock bag in the freezer. Simply defrost them when you want to use them, and continue with the recipe. If they have been frozen, it is much easier to scoop out the pith with a spoon. How successful was it? : I was really happy with how they turned out. They’re very moreish wish a pleasant residual bitterness from the pith. How accurate? : I didn’t use Seville oranges, which would have been more bitter, and might have needed more pith removed. I also am not sure whether using the same syrup and just making it stronger was the right approach or not. The Korea Foundation. Traditional Food: A Taste of Korean Life. Seoul: Seoul Selection, 2010. Anonimo Veneziano. “Libro Di cucina/Libro per Cuoco.” Translated by Thomas Gloning. Corpus of Culinary & Dietetic Texts of Europe from the Middle Ages to 1800, 2000. http://www.staff.uni-giessen.de/gloning/tx/frati.htm. Faraudo de Saint-Germain, Lluis. “Libre de Totes Maneres de Confits. Un Tratado Manual Cuatrocentista de Arte de Dulceria.” Boletin de La Real Academia de Buenas Letras de Barcelona 19 (1946): 97–134. Hess, Karen. Martha Washington’s Booke of Cookery and Booke of Sweetmeats. Reprint edition. New York: Columbia University Press, 1996. Palladius, Rutilius Taurus Aemilianus. The Fourteen Books of Palladius Rutilius Taurus Æmilianus, on Agriculture. Translated by Thomas Owen. J. White, 1807. Redon, Odine, Francoise Sabban, and Silvano Serventi. 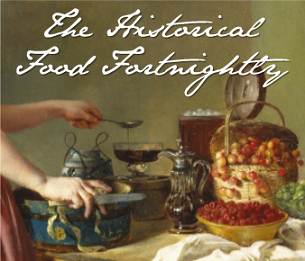 The Medieval Kitchen: Recipe from France and Italy. Translated by Edward Schneider. Chicago & London: The University of Chicago Press, 1998. Richardson, Tim. Sweets: The History of Temptation. Random House, 2004. Young, Carolin C. “Stages of Sugar Syrup.” In The Oxford Companion to Sugar and Sweets, edited by Darra Goldstein, 650–53. Oxford: Oxford University Press, 2015. Scully, Terence. The Art of Cookery in the Middle Ages. 5th ed. Suffolk and Rochester: Boydell Press, 2005. Tolkowsky, S. Hesperides A History of Culture and Use of Citrus Fruits. London: John Bale Sons & Curnow LTD, 1938. Vehling, Joseph Dommers, trans. De Re Coquinaria of Apicius. Chicago: Walter M. Hill, 1936. http://penelope.uchicago.edu/Thayer/E/Roman/Texts/Apicius/1*.html. Ages ago I wrote about making pickled eggs for my cousin and I promised you another recipe. Well, it’s taken me nearly two years, but here it is. During my research the earliest English recipe I could find was from the 18th century, but I came across a much earlier recipe in Arabic. This recipe was from The Description of Familiar Foods, which was probably written in Cairo in the 14th century. What you notice, is that this souse or pickle (the vinegar solution) appears to be cold when it is put on the eggs. Most modern recipes call for the pickle to be hot, and it made me wonder how using a cold solution would affect the eggs, both from a taste perspective and for food safety. SAFETY NOTE: The following is meant to be a discussion primarily about how this recipe might have functioned in the 14th century, and why it was possible to eat pickled eggs in the past in the absence of refrigeration. For modern home cooks, you should follow the most recent guidelines and procedures which are put out by the National Center for Home Food Preservation. In terms of texture, the evidence is mixed. One early study of pickled eggs suggested that using a boiling pickle would increase tenderness, but more recently Acosta et al. found that the manner of pickling made no noticeable difference to texture. Overall, it seems that if cold pickling makes any difference to the toughness of the egg, it is probably quite small, but it would be interesting to try doing hot and cold brine versions of the same recipe to compare them. The bigger question is, how does it affect food safety? The current guidelines recommend a hot pickling solution and say that pickled eggs should be refrigerated after bottling and only removed for serving (for a period of no more than 2 hours). Obviously, refrigeration wasn’t an option in 14th century Egypt, so what does that mean for the people eating these eggs? Whenever you read about food safety and home pickled eggs, you come across a reference to the one known case of botulism caused by home pickled eggs. One case isn’t very many, in light of the estimated 2,600 deaths a year caused by foodborne illnesses in the USA alone, even if there are other unreported cases. Still, in the interest of not poisoning our loved ones, I thought I’d take a closer look at what the science says. With pickled eggs, there are two food safety issues to contend with. The first is botulism, but botulinum spores can’t survive in an environment with a pH of more than 4.6. The US food regulations say that you must be able to reduce the pH to 4.6 within 24 hours, otherwise the food should be refrigerated until the correct pH is reached. The rate at which acidification occurs depends on the ratio of eggs to pickle, the ingredients of the pickling solution, the amount of acetic acid in the vinegar, and the pickling technique (hot fill/cold fill etc.). Acosta et al. found that with a brine concentration of acetic acid of 4.9% or 7.5% (normal table vinegar is 4-8%) they could get the total yolk pH to 4.6 or below in less than 24 hours with a cold fill, a hot fill, or a hot fill followed by a water bath treatment. So far so good, except that a total yolk pH means that the yolk is made into a paste and tested to get a kind of average. None of these methods was able to produce a pH of less than 4.6 in the very heart of the yolk in less than 24 hours. So what does that mean? Well, to be safe you’re still better refrigerating your eggs, because a) it’s difficult for the home cook to manage and measure all the different factors and b)it hasn’t been proved safe for the yolk to take longer than 24 hours to reach acidification. But, for our 14th century Egyptians, it was probably reasonably safe because the brine was almost pure vinegar and the total yolk (note that this measure is endorsed by American food safety regulators) would reach 4.6 even at room temperature. The biggest thing is not to pierce the yolk of the egg, which some people do in the hopes of increasing acid/flavour penetration of the egg, because it can inadvertently introduce botulism spores into the yolk. However, botulism is not the only thing we have to worry about. A whole host of other things can contaminate your eggs if you’re not careful, including salmonella, E coli and listeria. The easiest way for the home cook to avoid contamination is good hygiene: use sterilised jars, and wash your hands before peeling the eggs. What’s interesting is that Sullivan et al. showed that the safety requirements for dealing with botulism (refrigeration of eggs) might actually prevent pathogen die-off, if your eggs do get contaminated. They say that “Pickled eggs should be held under refrigeration for the length of time needed to acidify them to ≤4.6, and then held at ambient temperatures to ensure pathogen inaction.” This precaution isn’t reflected in current guidelines for home cooks, and it’s difficult to know from their study what the take away message should be, other than that we should flip the filled jars upside down now and then to make sure that the vinegar touches all parts of the jar. And for the medieval Egyptians? Well, this raises the interesting question of whether, by keeping the eggs at room temperature, they were actually helping to make pathogen die-off faster. Perry, “Kitab Wasf Al-At’ima Al-Mu’tada [The Description of Familiar Foods],” 397. Acosta et al., “Pickled Egg Production,” 791. Scallan et al., “Foodborne Illness Acquired in the United States – Major Pathogens,” 10. U.S. Government Printing Office, “Title 9, Chap. II, Subchap. A, Part 381 – Poultry Products Inspection Regulations,” 9 CFR 381.300. Acosta et al., “Pickled Egg Production,” 794. U.S. Government Printing Office, “Title 21, Chap. 1, Subchap. B, Part 114 – Acidified Foods.,” 21 CFR 114.90. Sullivan et al., “Pickled Egg Production,” 1846. Given that there is so little detail in the recipe, it doesn’t seem worth giving a redaction. I followed the same basic steps as in any pickled egg recipe, I boiled and peeled the eggs, packed them into sterilised jars, added some cassia (you could use either ground cassia or add a stick which would look prettier) and some coriander seeds (it’s also possible that the recipe is calling for dried coriander leaves) and then covered them with white wine vinegar. The quantities will depend entirely on the size of your jars, how many eggs you are using and how much spice you want to add. Make sure that you invert the jars at the end, and then refrigerate them. Leave them for a few days to allow the flavours to develop before eating. Time to complete? : 20 mins. How successful was it? : Tasty, with a pleasant but not overpowering cinnamon flavour. How accurate? : The biggest difficulty is knowing what amount of spice to use, because there really isn’t any indication. I also wasn’t entirely sure what type of coriander to use, and whether the spices would be ground or whole. I went with what I had to hand, which was ground cassia and whole coriander seeds, but I think that whole cassia would probably be prettier. The other big question is what kind of vinegar to use, and whether modern wine vinegar is similar to historical wine vinegar. It might also be interesting to try this recipe with red wine vinegar and see whether it colours the eggs like beetroot pickled eggs. Acosta, Oscar, Xiaofan Gao, Elizabeth K. Sullivan, and Olga I. Padilla-Zakour. “Pickled Egg Production: Effect of Brine Acetic Acid Concentration and Packing Conditions on Acidification Rate.” Journal of Food Protection; Des Moines 77, no. 5 (May 2014): 788–95. Andress, Elizabeth L. “Pickled Eggs.” National Center for Home Food Preservation, April 2014. http://nchfp.uga.edu/how/can_06/pickled_eggs.html. Centers for Disease Control and Prevention. “Foodborne Botulism From Eating Home-Pickled Eggs — Illinois, 1997.” Centers for Disease Control and Prevention, 2000. https://www.cdc.gov/mmwr/preview/mmwrhtml/mm4934a2.htm. Perry, Charles. “Kitab Wasf Al-At’ima Al-Mu’tada [The Description of Familiar Foods].” In Medieval Arab Cookery, by Maxime Rodinson, A.J Arberry, and Charles Perry, 373–450. Totnes, U.K.: Prospect Books, 2001. Scallan, Elaine, Robert M. Hoekstra, Frederick J. Angulo, Robert V. Tauxe, Marc-Alain Widdowson, Sharon L. Roy, Jeffrey L. Jones, and Patricia M. Griffin. “Foodborne Illness Acquired in the United States – Major Pathogens.” Emerging Infectious Diseases 17, no. 1 (2011): 7–15. Sullivan, Elizabeth K., David C. Manns, John J. Churey, Randy W. Worobo, and Olga I. Padilla-Zakour. “Pickled Egg Production: Inactivation Rate of Salmonella, Escherichia Coli O157:H7, Listeria Monocytogenes, and Staphylococcus Aureus during Acidification Step.” Journal of Food Protection; Des Moines 76, no. 11 (November 2013): 1846–53. U.S. Government Printing Office. “Title 9, Chap. II, Subchap. A, Part 381 – Poultry Products Inspection Regulations.” In Code of Federal Regulations, 2011. https://www.gpo.gov/fdsys/pkg/CFR-2016-title9-vol2/pdf/CFR-2016-title9-vol2-sec381-300.pdf. ———. “Title 21, Chap. 1, Subchap. B, Part 114 – Acidified Foods.” In Code of Federal Regulations, 2011. https://www.gpo.gov/fdsys/pkg/CFR-2016-title21-vol2/pdf/CFR-2016-title21-vol2-sec114-90.pdf. Washington State University Extension. “Pickled Eggs,” 2002. http://extension.wsu.edu/foodsafety/wp-content/uploads/sites/10/2017/03/EB1104-Pickled-Eggs.pdf. Since I’ve got a bit more time on my hands at the moment, I’ve been busy doing some sewing and trying to get as many unfinished projects done as I can. While I sew, I like to watch something that I’ve seen before so that I can still concentrate on whatever I’m working on. So there I am, watching ‘Victorian Farm’ and sewing away. It’s the height of the Brisbane summer, so it’s hot and humid. Then suddenly, Peter is making homemade ginger beer and they all drink it and look so cool and refreshed. And so, of course, I had to try making some. The recipe for ginger beer that I used from Philp, The Family Save-All, 167. The recipe comes from ‘The Family Save-All’ which is a mid-nineteenth century cookbook all about using up left-overs and cheap ingredients. I’ve used it before, when I was making potato pudding and it’s a great source for cheap, everyday recipes. The recipe would make an enormous amount of ginger beer, so even though the recipe warns that making a smaller quantity might make an inferior product, I reduced all the ingredients significantly. Overall, it produced a very fizzy but quite pleasant ginger beer. I would have preferred a stronger ginger flavour and slightly less sugar but it was very refreshing.In the end, I didn’t measure how alcoholic it was, but do be careful because it certainly gave me a bit of a buzz. The other thing to watch out for is the level of carbonation. If you bottle it after only four days, it will continue to ferment in the bottles. It’s really important that you put it into plastic bottles and that they get refrigerated. Otherwise, you’ll end up like me with ginger beer exploding all over the ceiling! 1. Sterilise all your equipment. Cut the ginger into chunks, put it in a bag and bruise with a rolling bin. 2. Place the ginger in a large saucepan and add 850ml of the water. Bring it to the boil, and simmer for 30 minutes. 3. Stir the sugar, the lemon juice, and the honey into the hot ginger water, then add the remaining water. Bring to the boil, then strain out the ginger and pour into a 1 gallon demijohn. Allow the mixture to cool until it is just lukewarm. 4. Stir in the lemon essence and the yeast. Set up the airlock and allow to ferment for 4 days. 5. On the fifth day, sterilise your bottles, lids and siphoning equipment. Siphon the ginger beer into plastic bottles, while trying not to disturb the yeast residue. Don’t fill the bottles completely, but leave some space at the top. Press out the air from this space, then cap. As the ginger beer continues to ferment, the bottle will expand. Once the bottles are expanded and hard, you must refrigerate them to keep them from exploding. Note: This recipe isn’t written for beginner brewers. If you haven’t brewed before, then you should consult a basic guide for how to set up your equipment, do the siphoning etc. This guide is for mead, but I really like how intuitive it is, and it covers a lot of the skills you’ll need. How successful was it? : Other than the one bottle that exploded, it was pretty good. As I said, the ginger flavour wasn’t particularly strong and I don’t know if that was the result of reducing the quantities, or if it just wasn’t very strong to begin with. How accurate? : The big change that I made was omitting the egg white. It was just going to be too difficult to add 1/14 of an egg white. I imagine that the main purpose of the egg white is to help clarify the ginger beer, so I think that it would make more of a difference to the way it looks rather than the taste. The other big difference is the type of yeast that I used, and the way that it was introduced. The recipe didn’t specify, but it was probably a liquid yeast taken from the sludge left from beer brewing, rather than a modern dried yeast. Philp, Robert Kemp. The Family Save-All, a System of Secondary Cookery. Second. London: W. Kent and co., 1861. The February Mastery challenge from Food in Jars is all about salt preserving. Probably the most common foods that were salted historically were meat and fish, but these are specifically excluded from the challenge. Instead, I’ve gone with classic preserved lemons. Their meat is generally rice roasted with oil, and placed in a large wooden dish. Over this they place a large dish of elkūshān, which consists of flesh, fish, fowl, and vegetables. They also roast the fruit of the plantain, and afterwards boil it in new milk: they then put it on a dish, and the curdled milk on another. They also put on dishes, some of preserved lemon, bunches of preserved pepper-pods salted and pickled, as also grapes which are not unlike apples, except that they have stones. These, when boiled, become sweet like fruit in general, but are crude before this: they are preserved by being salted and pickled. In the same manner they use the green ginger. When, therefore, they eat the rice, they eat after it these salts and pickles. Take lemons that are fully ripe and of bright yellow color; cut them open without severing the two halves and introduce plenty of fine salt into the split; place the fruits thus prepared in a glass vessel having a wide opening and pour over them more lemon juice until they are completely submerged; now close the vessel and seal it with wax and let it stand for a fortnight in the sun, after which store it away in a cool place for at least forty days; but if you wait still longer than this before eating them, their taste and fragrance will be still more delicious and their action in stimulating the appetite will be stronger. There is also a recipe in the 13th century cookbook ‘Kitab al-Wusla ila al-Habib’ or ‘The Link to the Beloved’. Take lemons, slice them crosswise and fill them with crushed salt. Then press them into a bowl and leave for two nights for them to soften. Then press them very strongly into a glass jar, squeeze lemon juice to cover and pour it over them, and seal with oil. Their flavor keeps well. The process of making either of these recipes is very simple, and it’s definitely worth having a jar in your fridge (keep them refrigerated after opening) to add a fresh lemony flavour to tagines or salads. I don’t know how mine have turned out yet, because I’ve got to wait another 40 days, but I’ll be sure to let you know how it goes. What To Do With Preserved Lemons? If you’re looking for something historical to do with your preserved lemons, why not try this recipe for Madira from ‘A Baghdad Cookery Book’? Cut fat meat into middling pieces with the tail; if chickens are used, quarter them. Put in the saucepan with a little salt, and cover with water: boil, removing the scum. When almost cooked take large onions and leeks, peel, cut off the tails, wash in salt and water, dry and put into the pot. Add dry coriander, cummin, mastic and cinnamon, ground fine. When cooked and the juices are dried up, so that only the oil remains, ladle out into a large bowl. Take Persian milk, put in the saucepan, add salted lemon and fresh mint. Leave to boil: then take off the fire, stirring. When the boiling has subsided, put back the meat and herbs. Cover the saucepan, wipe its sides, and leave to settle over the fire, then remove. Prennez vne piece d’esturgion bien nettoyée, rostie & fricassée dedans le beurre ou huyle d’oliue, puis vous prendrez vinaigre, & vin autant d’vn que d’autre, & le mettez boullir, vn limon salé par tranches, du saffran, du poiure, fueilles de laurier, rosmarin, mariolaine, racine de rafanus stampee, vne petite poignee de coriandre: estant boully iettez tout chaud sur l’esturgion, & le gardez ainsi bien couuert. To boyle a Capon larded with Lemons. Take a fair Capon and truss him, boyl him by himselfe in faire water with a little small Oat-meal, then take Mutton Broath, and half a pint of White-wine, a bundle of Herbs, whole Mace, season it with Verjuyce, put Marrow, Dates, season it with Sugar, then take preserved Lemons and cut them like Lard, and with a larding pin, lard in it, then put the capon in a deep dish, thicken your broth with Almonds, and poure it on the Capon. Batuta, The Travels of Ibn Batūta, 56–57. Quoted in Tolkowsky, Hesperides: A History of the Culture and Use of Citrus Fruits, 132–134. Arberry, “Al-Baghdadi, A Baghdad Cookery Book (1226 A.D./623 A.H.),” 41. W.M., The Queens Closet Opened. Incomparable Secrets in Physick, Chyrugregy, Preserving, Candying and Cookery. Wash the lemons well. Slice down into halves without cutting through the bottom. Repeat at 90 degrees to make quarters. Put salt in the bottom of a sterilised jar. Layer the lemons in the jar with salt in between the layers. Squash salt down into the cuts of the lemons. Once the jar is full, add another layer of salt on top. Wash the lemons well. Slice the lemons thinly. Put salt in the bottom of a sterilised jar. Layer the lemons in the jar with salt in between the layers. Once the jar is full, add another layer of salt on top. Cover and leave for two days. Fill the jar with the juice of extra lemons so that the lemons are totally covered. Cover with a layer of oil. Arberry, A.J, trans. “Al-Baghdadi, A Baghdad Cookery Book (1226 A.D./623 A.H.).” Islamic Culture 13 (1939): 21–47 and 189–216. Batuta, Ibn. The Travels of Ibn Batūta: With Notes, Illustrative of the History, Geography, Botany, Antiquities, Etc. Occurring Throughout the Work. Translated by Samuel Lee. Cambridge University Press, 2012. Czarra, Fred. Spices: A Global History. Reaktion Books, 2009. Gloning, Thomas. “Lancelot de Casteau, Ouverture de Cuisine, 1604.” Corpus of Culinary & Dietetic Texts of Europe from the Middle Ages to 1800, May 14, 2006. http://www.staff.uni-giessen.de/gloning/tx/ouv3.htm. Perry, Charles. “Sleeping Beauties.” LA Times. March 30, 1995. http://articles.latimes.com/1995-03-30/food/fo-48657_1_use-pickled-lemons. Tolkowsky, Samuel. Hesperides: A History of the Culture and Use of Citrus Fruits. London: J. Bale, Sons & Curnow, Limited, 1938. W.M., The Queens Closet Opened. Incomparable Secrets in Physick, Chyrugregy, Preserving, Candying and Cookery. London: printed for Nathaniel Brooke, 1655.